Thomas Nelson, 2013. 296 pages. Fiction. Allison can't believe it when, after issuing her husband an ultimatum to choose between their marriage or his alcohol addiction, he willingly walks out the door. Now 45 and living in her late aunt's cabin in the Idaho mountains, Allison finds her aunt's old diaries and begins to learn the story of what made her such a remarkable woman. In the process, she learns a lot about herself, as well. What really drew me in about this book was the compassion Hatcher uses to describe the working of God in the lives of both Allison and Aunt Emma. And reading the author's note at the end of the book explains why: Hatcher herself had a husband choose to abandon their marriage to his alcohol addiction. While she is clear that Allison's story is not a retelling of Hatcher's own story, the empathy Hatcher has the for the character shines through in the writing. 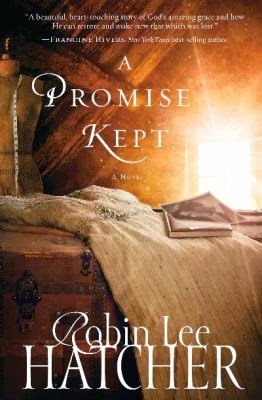 This was a nice inspirational, Christian novel that expressed faith in a difficult circumstance without being preachy.